Lifestyle Creativity The Music Salon Returns! The Music Salon™ is back! I mentioned in my last Newsletter that there would be a change coming. Well, it’s here! The Music Salon is returning to what it originally started out to be – and never really stopped being. Exciting changes will make this experience far more valuable to singers and those who work with them, and will reinforce the purpose of The Music Salon. When I conceived the idea for The Music Salon seven years ago, I envisioned it as a true salon. The word salon is used freely and often now to name everything from restaurant entertainment to commercial performances with a paying audience. This is an incorrect usage of the term; soirée (a party held in the evening where there is often music) or performance (where performers perform for an audience which often pays admission) would be more accurate in these cases. This has unfortunately obfuscated the true nature of the salon at present. A salon is a gathering in a private home where creative artists or academics of various sorts come together around a common purpose to perform, share their art, exchange ideas and increase their knowledge. The salon was a common occurrence in 18th and 19th century Europe, attended by the likes of Chopin, Sand and Liszt and hosted by major supporters of the creative arts such as Pauline ViardotGarcia. It has continued to be a venue for creative souls to present their work in the presence of kindred spirits who can fully appreciate it and offer support, encouragement and inspiration. Although this is, and has continued to be, the mission of The Music Salon, it seems that in recent months it has come to be seen and used more as a place for audition preparation. This is not, and never has been, the purpose of The Music Salon. It is fine with me if people use it to preview repertoire and prepare themselves for an upcoming event, and I imagine a lot of people will do that, as I do myself. However, I would like for them to do this within the context of the purpose of the Salon, which is to go beyond their usual performance and discover something deeper to bring to their performing. To that end, a segment that serves and engages us as creative artists, offering information, experience, healing or insight, will precede the performance part of The Music Salon. Intellectual Property for Musicians: Pertinent information about current law pertaining to copyright infringement in music pdf sharing, as well as general information about copyright and trademark, including handouts and a brief Q&A period; how to protect yourself legally from lawsuits or fines (they are coming…) and still do what is necessary as a singer who has to watch his or her pocketbook. If you share pdfs or sheet music, you need to have this information. 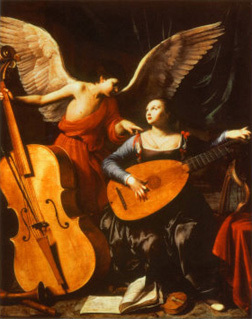 Performance Practice of Spanish Art Song: A multimedia presentation, including historical background, that will lead you to approach the creative interpretation of Spanish art song so that it sounds authentic; includes live musical examples. Narcissism: A frank discussion about this trait, which exists on a continuum from having a little ego to being a narcissistic personality (or a true narcissist, as defined by the DSM). The music business has more than its fair share of people with this trait, and it is wise to prepare yourself in advance for dealing with it so that you come out a winner in your dealings with those who have narcissistic traits. Where Are Your Manners? : What is the purpose of having “good manners”? A conversation about the purpose, origin and nature of good manners, and how the practice of politeness can not only make your life, and that of those around you, more pleasant, but get you more jobs. This brief talk, which addresses what politeness really means and what it accomplishes, will be followed by a short question/answer/sharing period. Hint: This is not as obvious as it sounds. Don’t assume that if you already have good manners, this segment might not be of use. It’s not as simple as saying “please” and “thank you”! Healthy Living: A unique and wellresearched approach to balance, nutrition and inner wisdom to keep yourself healthy even while on the road or with a heavy schedule. Honoring Boundaries: The key to true communication. What boundaries are, how they are honored or violated, and how you can make honoring boundaries a daily practice that will change your life. A Journey into the Unconscious: A unique consciousness exercise that allows deep and rapid healing of old wounds and/or understanding of current issues on an organic level, freeing you creatively. Aspects of Health and Healing: A talk about what healing truly is and how to provide a healing experience for yourself or someone else, plus a healing experience using this perspective. Meditation Practice: An exploration of what meditation is, what its goal is, and how it can affect your life. A group meditation experience follows the talk. It also addresses questions such as whether a spiritual practice is necessary as part of a meditation practice, how you can take it on the road in circumstances that are not ideal for introspection, and whether meditation is practical or beneficial for an energetic extravert. Feldenkrais for Singers: Presentation by a Feldenkrais practitioner who works with singers, followed by exercises we can all do to free ourselves physically for better singing. After the opening segment, which will usually run about a half hour to one hour, depending on topic, we will make music for the remainder of the time, with a world-class accompanist supporting us, followed by refreshments and time for conversation. As has always been the case, any genre of acoustic music is welcome at The Music Salon – classical, musical theater, cabaret, folk, pop, jazz or Latin. Practical matters. The Music Salon will meet every first Tuesday of the month (except for August) from 7:00 pm (new time) until approximately 9:00 pm. The cost for the “new” Music Salon is $20 (suggested donation). As always, I need to receive your expected repertoire no later than four days before the Salon in order to reserve your place. The announcement for each month’s Salon, including that month’s topic and accompanist, will be posted on Facebook. I will still send out an emailing for a while, but only to those people who tell me that they would like to receive an email. If you do not see or receive that month’s announcement, you can always go to The Music Salon web page – www.elenagreco.com/music/egmp/salon – to see the information. I am very excited about this new chapter of The Music Salon™. I hope you are, too! Stay tuned for the September announcement. I hope to see many of you at the Salon next month!